How old do you have to be to get an agent to audition for a dance company? Ages are not really fixed for auditioning to contemporary dance companies. That applies mostly in the case of ballet, where dancers usually have to be very young to be admitted into the companies. But contemporary dance is a very different artistic field. It is so diverse that it is not possible to tell what age you need to be, since you might find companies that need really mature dancers for specific projects, kids or all kind of different people. Getting an agent depends on your own needs as a professional dancer and the companies you have in mind. Normally, you won't need an agent just to audition as a dancer. Managers or agents typically work to represent and sell companies or projects. If you wish to work with a contemporary dance company, what you need to do is to ask in each case what type of dancers they are looking for. I am much interested in contemporary dancing but I am not a dancer. 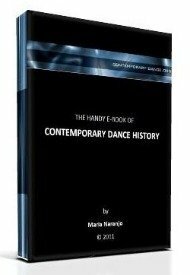 I love watching contemporary dance and would like to watch some videos of great contemporary dancing. Can anyone suggest a good site that can offer videos of contemporary dancing?